Hello! My name is Courtney Morse and I am the Recruitment and Marketing Vice President at the Iota Gamma Chapter of Alpha Delta Pi here at UC Davis . I am so excited that you are interested in our chapter and in recruitment! Looking back to the beginning of my college experience, I knew there was something missing, I just did not know what. Joining a sorority was not something I ever planned on doing, but it wasn’t until I was welcomed into Alpha Delta Pi that I was finally able to call Davis my second home. When I joined Alpha Delta Pi I knew it was the start of an incredible journey and I finally felt accepted at college, knowing I was in the right place. Joining this sorority has given me so many opportunities. 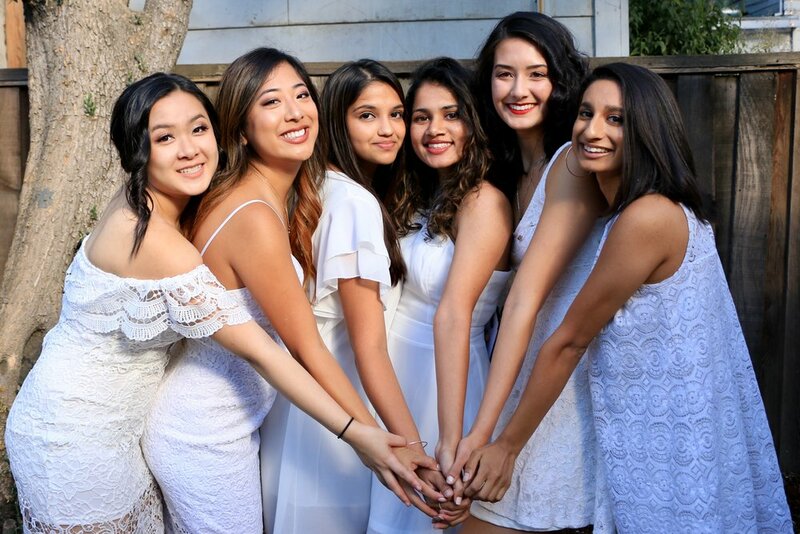 From having fun at sisterhoods, to raising money for our national philanthropy the Ronald McDonald House Charities, to holding several leadership positions, it is always a blast at our house! Most importantly Alpha Delta Pi has given me my best friends. The amazing women I get to call my sisters have given me confidence, laughter, courage, support, and most importantly friendship that will continue after we graduate. I call them my sisters because they are my family here in Davis, and I know with them by my side I can handle whatever college throws my way. I want you to feel at home in Alpha Delta Pi just like I do and I highly encourage you to go Greek! Please contact me if you are interested or have any questions at iotagammarmvp@gmail.com! Go Greek Day ⬩ Come meet our sisters during the first day of formal recruitment. Tell us about yourself because we want to get to know YOU! Sisterhood Day ⬩ This day we get to share our favorite part of Alpha Delta Pi: our sisterhood! Let us show you how strong our bonds are to one another and our sorority. Philanthropy Day ⬩ Service is what we hold closest to our hearts. This day you get to come and learn more about Alpha Delta Pi’s national philanthropy, the Ronald McDonald House Charities. Preference Night ⬩ This is the last night of formal recruitment and the most special. On this night we hope to make you at home in Alpha Delta Pi.